The sweet aromas of hot cocoa and freshly baked sugar cookies, Christmas trees covered in bright lights and cheerful ornaments, and the very first taste of a winter’s chill. 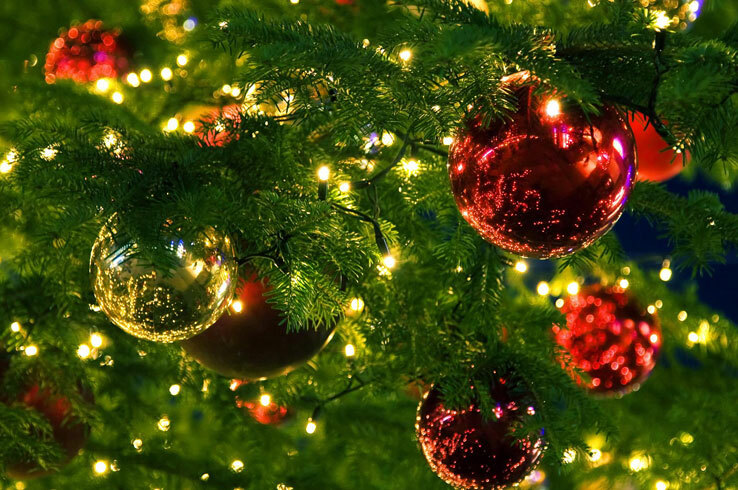 As the legendary Bing Crosby once sang, “It’s beginning to look a lot like Christmas.” In The Woodlands, the holidays are celebrated with a full stocking’s worth of events, festivals, and fun things you can do with your entire family. 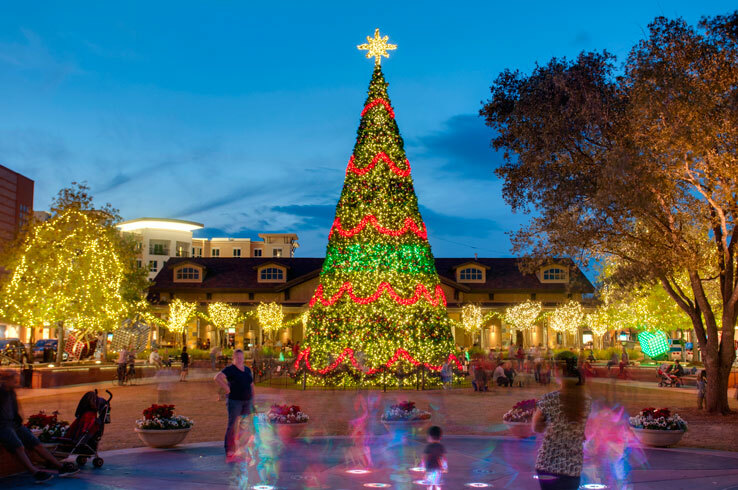 Located just north of Houston, The Woodlands is the place to be to enjoy the magic of the season. 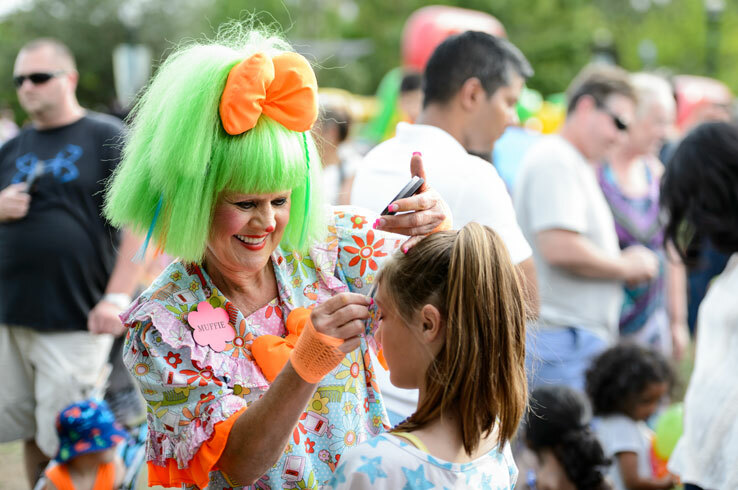 Although it’s not a holiday-themed event, The Woodlands’ Annual Children’s Festival (Nov. 10 – 11) will still put you and your family in a festive mood. Featuring two days of live entertainment and plenty of big smiles, the festival offers a fantastic way to spend the weekend with your kids. From creating art and exploring science to rock climbing and kite making (and flying), the festival is loaded with an endless amount of fun hands-on experiences designed to educate and inspire. All of this is just part of the fun, as the festival is headlined by none other than Sesame Street Live! The Cookie Monster, Elmo and Rosita will light up the stage with their singing and dancing, delighting your kids and likely leaving you feeling a bit nostalgic. The mighty and mysterious heroes of PJ Masks will also be on hand for photos and super-powered hugs. Whether you’re here for just one day or the entire weekend, you’ll leave having created lasting memories with your family. Get your tickets now. With more than 11 million square feet of shops large and small, The Woodlands is the ultimate holiday shopping destination. Bring your list and check it twice before venturing out to the town’s two main retail areas, Market Street and The Woodlands Mall. Stroll along the wide sidewalks and soak in all the Christmas charm as you browse such high-end stores as Tiffany & Co., Sur La Table and Philanthropy before getting a bite to eat at one of the many restaurants in the area. The Woodlands Mall is a sprawling shopper’s paradise with more than 100 brand-name and specialty stores selling everything from clothing and jewelry to electronics and sporting goods. 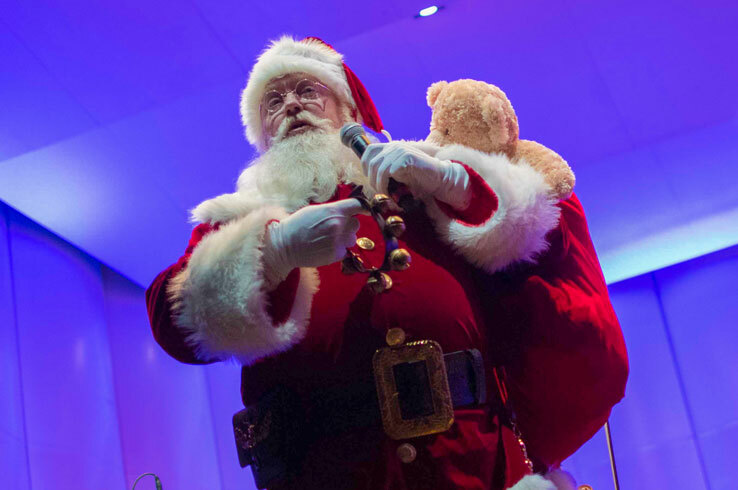 As if all the shops weren’t enough, Santa himself makes appearances at The Woodlands Mall throughout the holiday season. Bring your kids for a photo op with Jolly Old Saint Nick and a fun day out in The Woodlands. Are you trying to find a super special gift for that one-of-a-kind person in your life, but you don’t know where to even start looking? The Junior League Holiday Market is a window shopper’s dream, with everything from flower arrangements to holiday ornaments that are just waiting to go home with you. All told, there are more than 100 vendors to visit, leaving you with plenty of shopping to do. It’s a good thing this is a multi-day event, running from Nov. 16 – 18 at The Woodlands Waterway Marriott Hotel & Convention Center. Santa will also be there, so you may even have the chance to get a photo with him. If you’ve been good all year, of course. Fall and winter in The Woodlands aren’t particularly cold, which for some is a selling point. While it may be at times balmy during the holiday season, that doesn’t mean you can’t hit the ice. 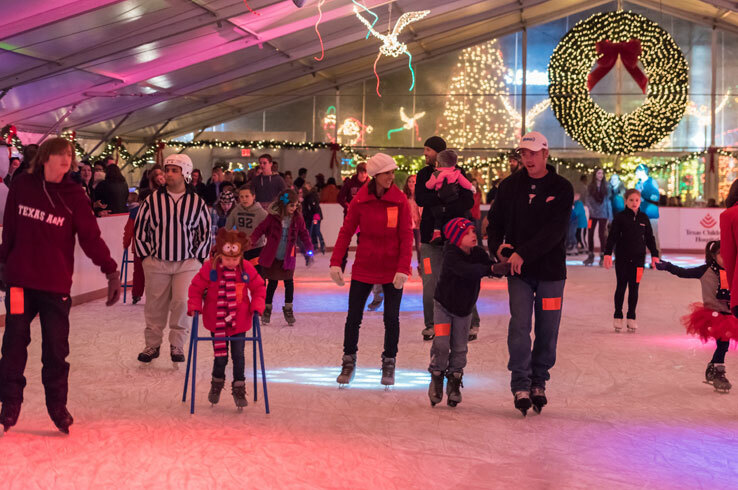 From Nov. 17 to Jan. 21, 2019, The Woodlands Ice Rink welcomes ice skaters young and old. The rink resides within The Cynthia Woods Mitchell Pavilion’s multi-purpose building, where the large skating area provides plenty of room to maneuver and the top-of-the-line sound system cranks out the festive tunes. Two-hour skate rentals are less than $11, making this a fun and affordable memory-maker you can do with your family this holiday season. The ceremonial lighting of the doves is meant to symbolize peace during the holiday season. For nearly 40 years, it has been a holiday tradition here in The Woodlands. Today, it’s so much more. The Lighting of the Doves (Nov. 17) festival marks the beginning of the holidays and celebrates the many cultures of those who call The Woodlands home. Watch traditional and international performances, let your kids run wild in the snow play areas, and enjoy a fantastic fireworks show. Of course, it wouldn’t be the holidays without Santa. 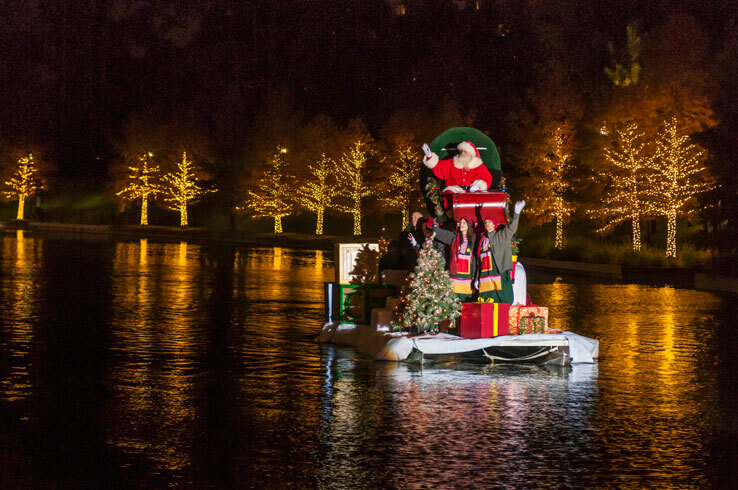 Jolly Old Saint Nick makes his appearance on a special sleigh floating along The Woodlands Waterway. Don your most festive apparel and soak in all the sights, sounds, and aromas of the holiday season during the annual Grand Illumination Ceremony (Nov. 23) at The Woodlands Resort. Enjoy a steaming cup of hot cocoa or cider as you listen to carolers belting out your old favorites before taking part in the gingerbread house decorating and getting photos with Santa. All this merry fun builds up to the main event, the lighting of the spectacular 20-foot Christmas tree bedecked with shining lights and colorful ornaments. Tickets for the Grand Illumination Ceremony are free and available to the public (so you don’t need to be a guest at the resort), but you’ll need to register here. If you’re in The Woodlands at the end of the year, you won’t want to miss the New Year’s Eve Masquerade at The Westin at The Woodlands’ Como Social Club. Ring in the new year in style with an Italian-style carnival complete with acrobats, a gondola on the pool deck, a live DJ spinning the night away, and plenty of drinks, food and photo ops. The club is hip and stylish, making it the perfect place to welcome the new year. Get your tickets before they sell out. While the bright lights and decorated trees are a part of the holiday season, nothing brings it to life quite like a good old-fashioned Christmas carol. The Holly Jolly Jingle (Nov. 29) brings all the yuletide magic to The Cynthia Woods Mitchell Pavilion in a free performance you won’t want to miss. Find a spot on the grassy lawn or a seat under the canopy and enjoy performances of popular holiday medleys by student musicians from area high schools and the Sam Houston State University Symphony Orchestra and Symphonic Choir. 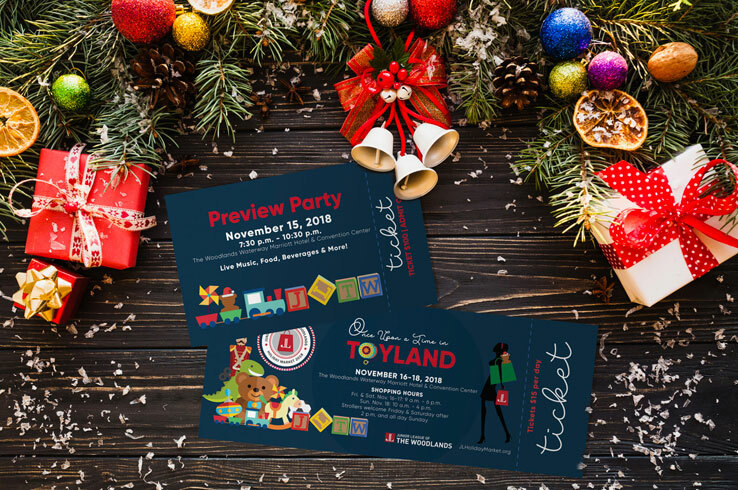 Beyond the music, the event has kid-friendly arts and crafts activities and visits with Santa Claus. With a full night of Christmas caroling and joyful revelry, Holly Jolly Jingle welcomes the holiday season with festive cheer. Regardless of how you love to celebrate the holidays, you’ll find something that’ll put you in a festive mood in The Woodlands. Plan your next getaway here.